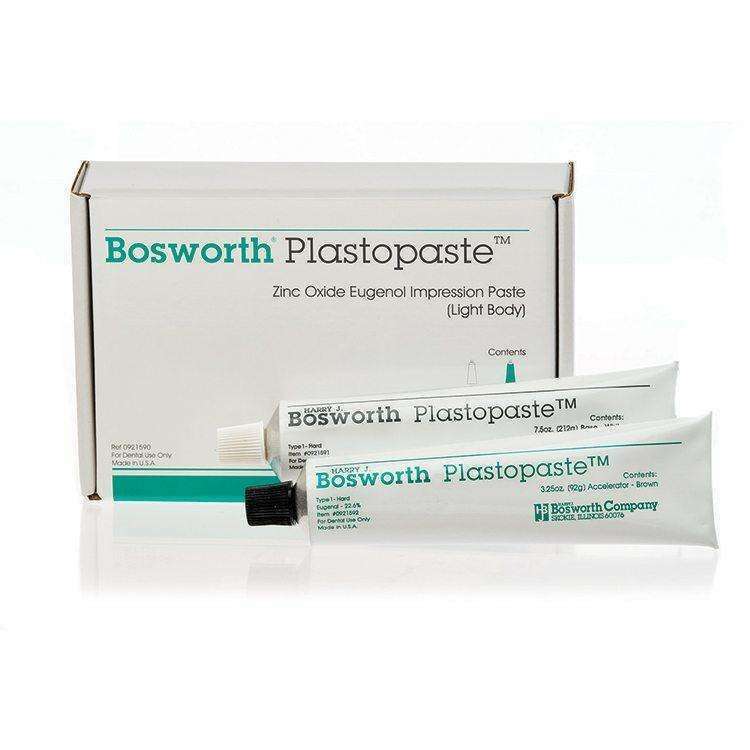 Zinc Oxide Eugenol Impression Paste (Light Body) Plastopaste™ is a zinc oxide eugenol paste used for preliminary compound impressions, mucostatic impressions, corrective washes, rebasing dentures, and denture relines. Plastopaste™ easily mixes in 30 seconds to a consistent, extra creamy mixture, and sets hard in 90 seconds without distortion. Non-sticky, wipes easily from patient's face and hands, and can be repositioned without any visible cracks or lines. This formula has a pleasant taste and causes no eugenol burn.